one of her most devoted and admiring fans is me! Okay she does not state that last fact on her website, but it’s true. Keris was the first person I thought of when I had the idea for this Working In My PJs series. For the past 12 years or so I’ve admiringly watched her make her writing career happen, from the day she announced on her blog that she’d signed with an agent, to her now traditional, “taking her new book out for a glass of wine” photo on publication day. 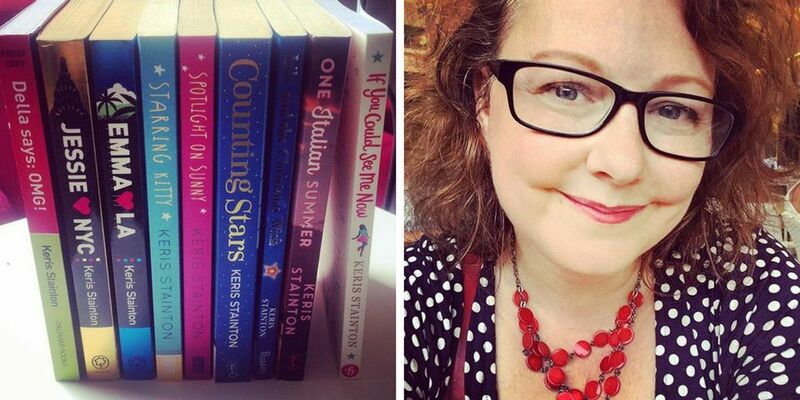 She’s prolific, she works bloody hard, she keeps it real about the realities of author life, and very importantly, she’s always hilarious on Twitter. No matter what age group she writes for, Keris’ books are always funny and true… she gets humans and our wide array of emotions. 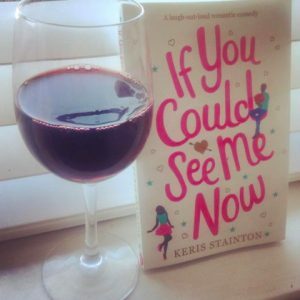 I’m so chuffed that Keris was up for talking about her writing life, from ideas to routines to her brand new novel, If You Could See Me Now. Tiring! It’s funny, I’m always focused on the current/next book so it’s rare for me to actually stop and think about what I’ve accomplished. I only ever really do it when a new book turns up in the post (and then I always take the latest one for a drink). This time I had to take a minute because it included my first adult book and I started out trying to write adult in 1997. So I feel like that photo was twenty years in the making. 3. I last interviewed you when your first YA book Della Says OMG was released. So much has happened since then! More YA novels, books for younger readers, hilarious anthologies of your children’s wisdom, and now If You Could See Me Now, a novel for adults. What would 2010 Keris think of the way it has all unfolded? It’s funny, seven years doesn’t seem like a very long time at all. But I can hardly remember a time I wasn’t writing constantly. I think 2010 Keris would be surprised at all of the different things I’ve written. I think she’d also be surprised to find I’m still not rich (maybe next year…). And I think she’d be surprised at how many different publishers I’ve had (four and counting). She’d be astonished to know I’ve done things like appear on the Vanessa Feltz TV show (as disastrous as it was) and interviewed Judy Blume on stage in Manchester, since when she was asked by the publisher about promo, she said she’d rather die. 4. 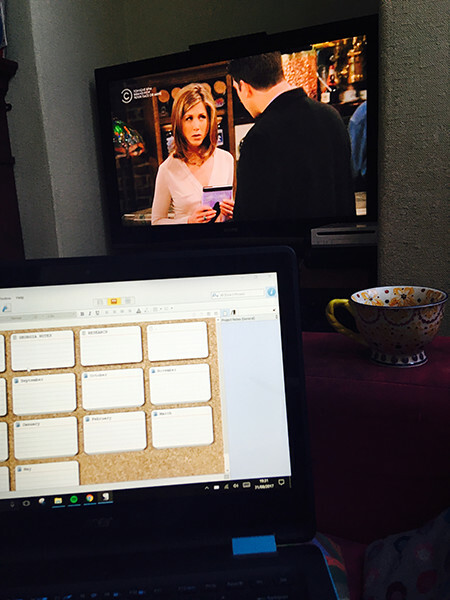 What does a typical writing day look like? How do you combine writing with homeschooling your kids and all the other things a human does to stay alive? Do you have a routine or is it more organic? No, I still don’t have a routine. I keep telling myself I’ll sort my life out, but after all this time I’m starting to accept I’m probably kidding myself. Home ed-wise, we “unschool” which means I let the boys do their own thing, which means I can do my own thing most of the time. I’ve finally got into a morning exercise routine, which definitely seems to help with everything, but other than that I just swing wildly from deadline to deadline. 5. What goes on in your mind throughout the process of creating a book? Do you ever encounter self-doubt? Do I ever encounter self-doubt? [pause for hysterical laughter] The idea is the exciting bit. And I do love starting a new novel. And then once I get to about twenty thousand words, the novelty wears off and I do some garment-rending and wailing to other writer friends. I think I’m getting better at this stage – partly because I don’t really have the time to indulge it anymore – but my writer friends may disagree. 6. The worst question one could ask an author would have to be “where do you get your ideas?”. But I’m in awe of your ability to come up with kickass book ideas, over and over. Maybe the question is more… how does one become an ideas person? Are you naturally bubbling with ideas or is it something you cultivate? It’s actually different all the time, which is probably unhelpful. Often I seem to start with a location and try to figure something out from there. I hardly ever start with plot. I think Lily, the Pug & the Christmas Wish was the only novel I started with an actual plot in mind and even that one was originally inspired by a shop I saw in Disneyland Paris. Jessie Hearts NYC was inspired by a song (If It Kills Me by Jason Mraz) and Counting Stars was mostly because I wanted to be able to go to a stage school for research. As for becoming an ideas person… I think it’s just about asking ‘What if?’ which I do all the time. What if the plane crashed? What if the people we’ve rented the house from have nicked our money? What if that Harry Styles-looking person coming out of the gallery was actually Harry Styles? That kind of thing. All the time. It’s kind of exhausting. But useful. 7. What’s your least favourite task related to your work? Up until this year I’d have said edits/rewrites of any kind. I just want to write a first draft, send it away and have someone else do the dirty work, is that too much to ask?! But I have inexplicably enjoyed the edits for the two most recent books. I don’t know whether that’s down to the books, the editors, or me. But it’s probably not me. I really hate having to read the book over and over, which you absolutely have to do once the first draft is done. I know some authors who swear by reading the whole thing aloud and I’d honestly rather hit myself repeatedly in the head with a pan, my god. 8. What’s the nicest thing a fan has ever said to you about your books? Well. There was a Twitter thread recently that made me do what Oprah calls an ugly cry. I still can’t actually believe it. There have been a lot of nice things over the years, but this one was next level. 9. What are your favourite ways to procrastinate? 10. 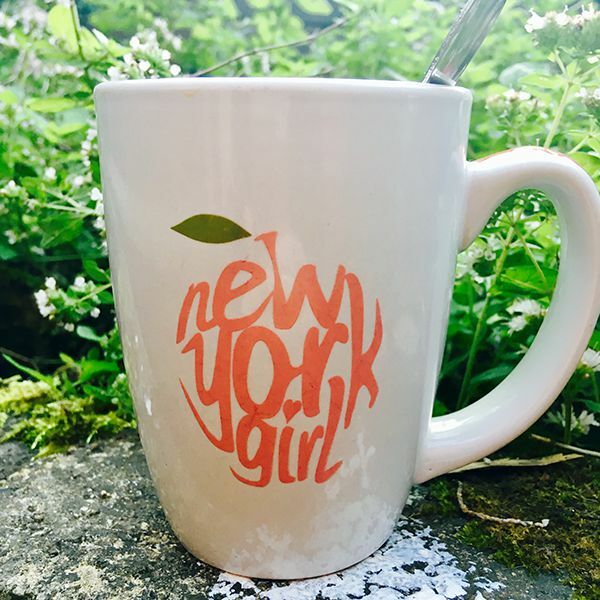 What is your beverage of choice while working? Tea if I’m at home, coffee if I’m working in a coffee shop (which I love to do, but can’t very often cos kids). 11. Is there anything you wish people knew about what it’s like to be an author? It probably won’t make you rich. Or even solvent. And everything takes about ten times longer than you expect it to. 12. Working for oneself can be a lonely business! What are your favourite sources of support? This is something that’s changed enormously in the ten years or so I’ve been writing. Social media has transformed working from home for me. I remember when I first got the call about my first book and I was alone in the lounge freaking out with no one to tell. Now I’d be screeching happily on Whatsapp in seconds. Thanks to social media I really don’t find it lonely at all. I’ve turned into the type of person who misses the internet when she’s forced into the real world. Ridiculous. 13. What are your top 5 desert island essential work tools? Tumblr gets a bad rap, but I love it. I find it so educational (yes, even at my advanced age) and inspirational. Google Street View. I honestly don’t know how anyone wrote a book before it. Write Or Die. If I’m really really really putting off writing, this gets me going. You can set a timer or wordcount and a reward or consequences. On the strictest consequence setting, it will start deleting what you’ve already written if you stop writing for too long. Brutal. Writer friends! Every Monday I email my friend Sarah Painter with my plans/goals for the week. I also have a Facebook group where we post our wordcounts and generally encourage each other. I’d be lost without writer friends, tbh. Writing playlist. Years ago I saw a tweet from the author Rachel Vail that said something like ‘Sometimes I have to sneak up on my writing from behind a cloud of music’ and YES. If all else fails, I put my writing playlist on and my fingers start itching to write (they also do this if I hear any of the songs on it any other time). 12. Do you have a favourite line from If You Could See Me Now? ‘Can I touch you?’ she says, frowning. ‘Um, yeah. Let me just put some knickers on.’ I stand up again. Made me laugh every single time I read it. 14. What’s next on your writing agenda? I’ve got another adult book coming out in December called It Had To Be You, and another YA in June next year. And then a couple of other exciting things that haven’t been announced yet! It’s all go. 15. What do you see out the window of your workspace right now? Right now, I’m standing at the kitchen counter so I’m looking at piles of dirty dishes (the boiler’s been condemned so until the new one arrives, the dishes have to wait til someone can be bothered to boil a pan of water). If I ignore them (which I am happy to do) and look out of the window, I can see our small garden in the pouring rain with a pair of my 8-year-old’s shoes on the washing line, drenched. Thank you gazillions Keris for your time! Want more Keris in your life? Get the lowdown on her books on her website. You can also find her on Twitter and Instagram.